Germany is among the most efficient recyclers worldwide with approximately 70% of their generated waste being successfully reused or recycled. Attributed to the success of Germanys recycling rates is the ‘bottle deposit system’ (Look, M. 2014). This sees an initial deposit paid for glass or plastic bottles that can be reimbursed on their return. Each returned bottle earns the consumer 8-25 cents while ensuring the raw materials from the container can be appropriately recycled (Nasman, C. 2014b). 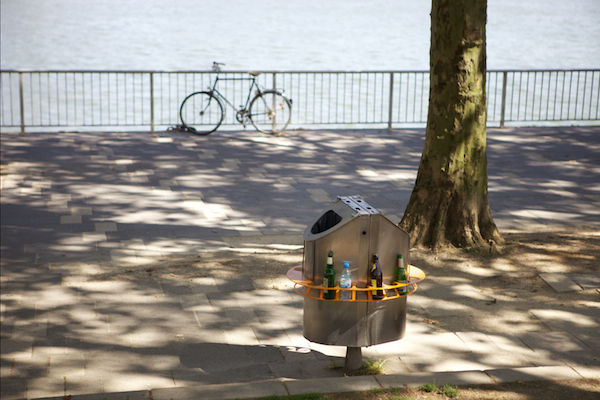 Paul Ketz, a young product designer from Cologne, has created a steel ring that attaches to pre existing trash cans. This allows for bottles to be held on the outer edge of the bin as opposed to thrown in (. This simple yet hugely impactful design addresses a number of social and environmental issues faced in an urbanised space. It’s easy to understand recycling on a global scale as favoring the developed. We see countries with lower socioeconomic status dealing with immense quantities of landfill and pollution, created primarily in developed countries. Less apparent is the hierarchal implications of a scheme such as the bottle deposit system. The revenue earned on returned bottles primarily appeals to those citizens facing unemployment or homelessness. Paul Ketz’s bottle collector allows for people to partake in this system, which efficiently contributes to recycling, while eliminating much of the health risk and stigma. It is safer and more socially acceptable to see a person collecting bottles from the collector ring as opposed to digging through trash. More importantly it eliminates the health risks present when looking through garbage that may contain broken glass, syringes or hazardous waste (Nasman, C. 2014a). Paul Ketz was disheartened by the sight of people sifting through trash and so began work on the bottle collector. Starting as a school project the impact of this simple idea was quickly realised (Nasman, C. 2014a). Local politician Andres Putkin stepped in to help create funding for the project, enlisting financial aid of businesses in the club district of Cologne. The bottle collectors were soon implemented on ten bins in busy areas. The success of this design in the Cologne area has seen a call for nation wide implementation of the bottle collector (Nasman, C. 2014b). The ability to support recycling while empowering an underclass of citizens shows the depth of change considered design can have. The arrest of sixty four punks attending a benefit gig in December 2011 bought global attention to one of the biggest and most politicised punk scenes in the world (Munn. K, 2014). To identify in the punk subculture means to dress, act and fashion your body in a particular way. For Indonesians the consequence of this identity holds a uniquely heavy burden. 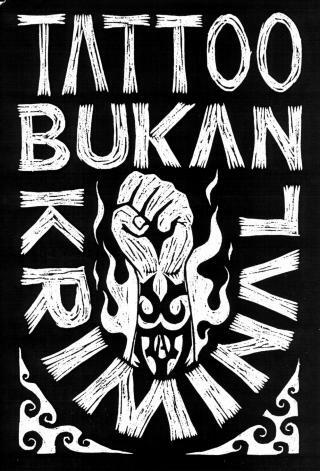 The current and historical turmoil between citizens and the governing power has redefined what it means to be a punk within an Indonesian context (MacDougall. J, 2015). The Petrus executions of the mid eighties saw suspected criminals violently killed without warning. Former president Suharto ordered the murders of suspected criminals, regardless and irrelevant of actual guilt. Tattoos held a strong association to criminal involvement and often served as an indicator for Petrus victims. The fear drove some to remove tattoos from their skin with razor blades, hot irons and caustic soda. The implications of this horrific time means those displaying tattoos are still linked to criminal involvement and fear. The social disorder evident through President Suharto’s brutal dictatorship created a perfect landscape for the punk subculture to manifest. We can see this dynamic in more recent punk arrests. Sixty-four men were arrested while attending a punk gig in Aceh, a fiercely religious province within Indonesia. Aceh operates under Sharia Law that encompasses all aspects of day-to-day life. The contrasts in religious compliance and punks anti-authority nature saw people who identified as punk labeled a ‘Social Disease’. In the hope of gaining popularity by mainstream citizens the government arrested sixty four punks during a benefit gig. They were detained without charge for ten days. During their detention the prisoners had their clothes burnt and heads shaved. They were forced to wear military uniforms and participate in military training. The detention was said to be ‘moral rehabilitation’ against the punk way of life. Prisoners were exposed to brutal beatings and striped of their freedoms and punk identities. This stunt by the government saw a global backlash as the Aceh arrests made headlines across the world. 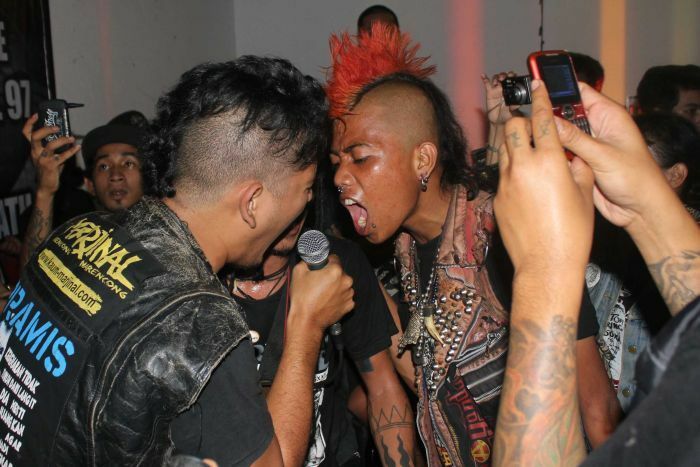 Punks took to the streets across Asia, Europe and North America in support of the prisoners and Indonesian’s rights to participate in the punk way of life (Munn. K, 2014). After a decade of violence, oppression and protest within the context of a low socioeconomically situated country the punk subculture reached its peak. In 1998 President Suharto was put out of power attributed partly to the pressure created by young people participating in the punk movement (MacDougall. J, 2015). This movement has allowed Indonesian citizens a platform and means to fight back against the violent and oppressive nature of their political landscape. This stand has come at a huge risk to their safety and social acceptance, however highlighted in this is the gravity of what they have been fighting for. The PPIA UNSW (Perhimpunan Pelajar Indonesia Australia or Indonesian Student Association) is a university run organisation that aims to unite Indonesian students studying in Australia. 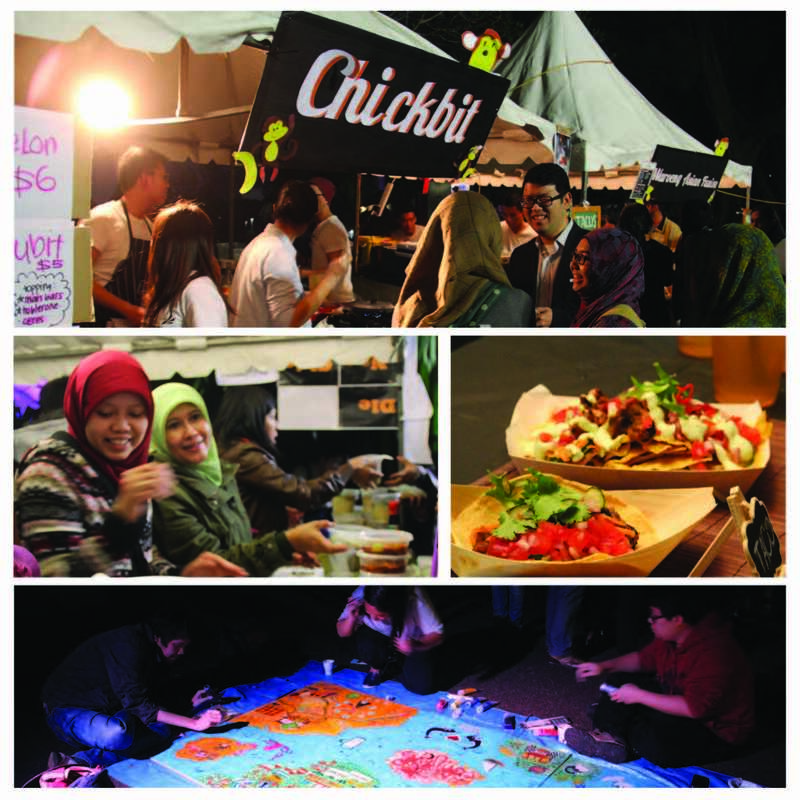 On the 27th of April they held their largest event of the year, the ‘Indonesian Night Markets’. On arriving at the markets you are immediately hit with a buzz of people, music and smells. Traditional Indonesian cuisine is on offer at over a dozen food vendors. Steaming bowls of curry, deliciously gooey rice desserts and sizzling barbeques will have you spoilt for choice. The entertainment includes authentic Indonesian dance, music, games and poetry readings, alongside live art and fashion displays. I was fortunate enough to chat with the event coordinator, Lawrencia Noerdjaja, and gain some insight into the role of the PPIA UNSW community and this spectacular event. Are you primarily involved in the PPIA UNSW community, or do participate in the larger PPIA community (nation-wide) as well? Personally, I’ve just join PPIA UNSW, but some of our members are also involved in PPIA NSW. What is the main purpose of the PPIA UNSW group and do you feel it effectively assimilates Indonesian students into the Australian university community in the broader sense? Our vision is to increase the solidarity among our members and other Indonesian societies, as well as introduce the diversity of Indonesian culture to Australia. We help our members, especially new students, to adapt to the new environment by sharing our studying experience in Australia or through our events. Are the members of PPIA UNSW primarily born in Indonesia and have moved to Australia or are they Australian born with Indonesian heritage? 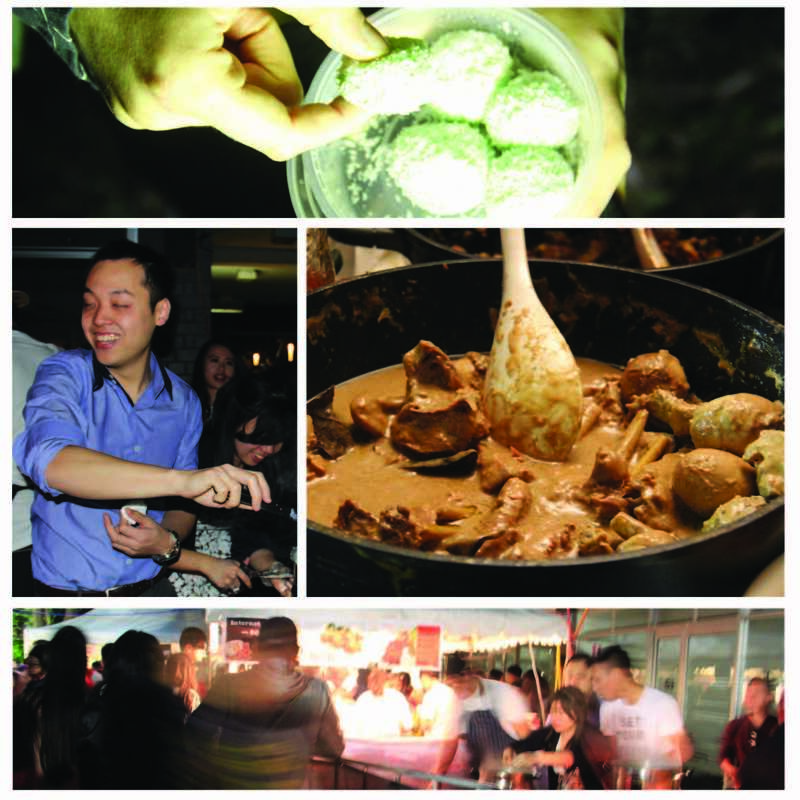 What aspects of Indonesian culture are you hoping to showcase at the night markets? The Indonesian Night Market is our major annual event, every year we focus on one aspect of Indonesian culture. This year “Alun Alun” emphasises the beauty of street life in Indonesia. As we know, the street life in Indonesia is very unique; you can find anything there, from authentic Indonesian performances to mouth-watering food that can’t be beat by a five-star restaurant. What does your role for the Night Markets entail? Do you have any specific experience that has influenced the organisation of this event? I am the event coordinator of this event. Basically, I manage all on-stage and off-stage performances such as the murals or live performance. I have also handled several PPIA UNSW events such as Indonesian Independence Day celebration, we called it ‘Indopendence’, as an event coordinator. How many people are involved in the organisation/running of the event, how many years has it been running and how many people are you expecting to attend? “Alun – Alun” has 26 committees and 3 project advisors. However, the event wouldn’t be a success without the help of our volunteers. We have more than 100 people volunteer their time to help with the markets. This is our fifth Indonesian Night Market and we are expecting 5000 peoples to come to enjoy our events. What are they main reasons for holding the ‘Indonesian Night Markets’? The Indonesian Night Markets are held to share Indonesian food and culture with all Indonesian people who live in Australia as well as to introduce it to foreign citizens. Lawrencia and her colleague’s goal to share aspects of Indonesian culture with the Australian community were filled with passion and sincerity. I would like to thank her and the wider PPIA UNSW community for providing us with a taste of their wondrous Indonesian street culture!